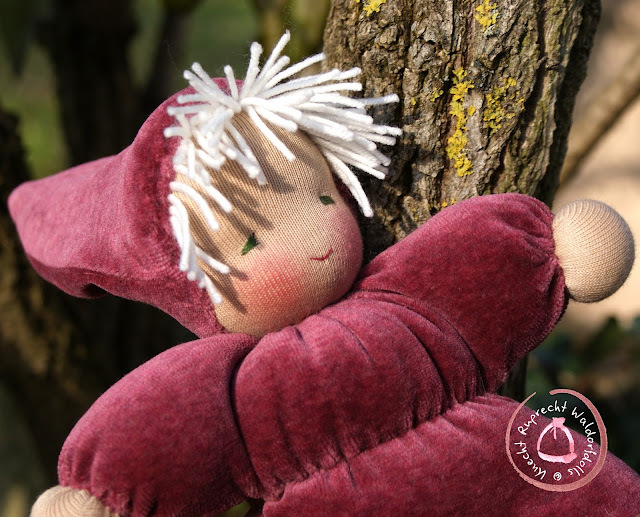 Its head is sculpted in the traditional Waldorf style and its facial features are hand embroidered. 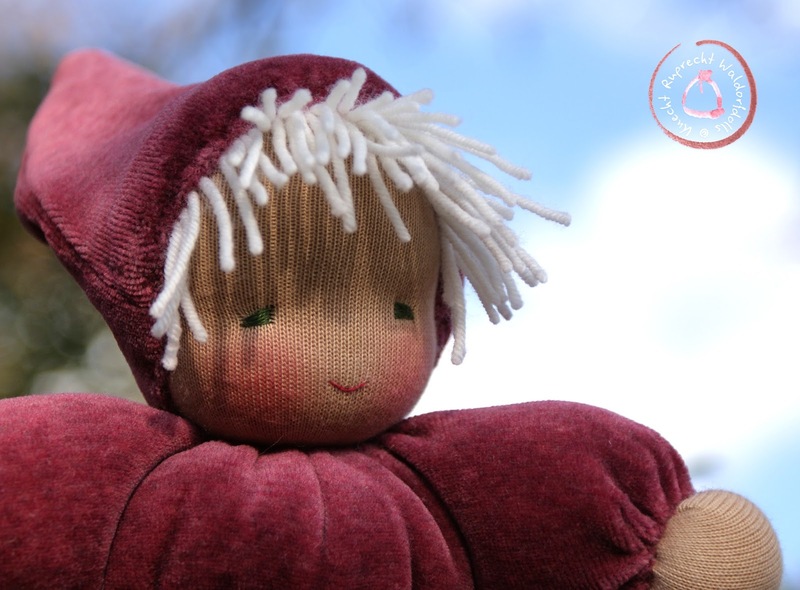 Its soft body and cap is made of organic GOTS certified cotton velvet. 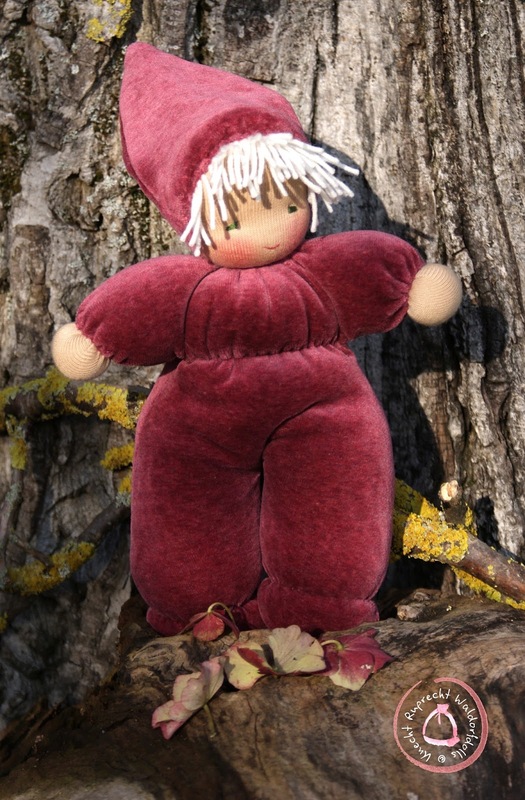 All Knecht Ruprecht Cuddle Dolls are soft to the touch and stuffed with 100% organic washed and carded wool.